Looking for a place in Orlando that offers a variety of shows? From Magic, Stand-up Comedy Shows, Dinner Shows and Mystery Dinner Shows? 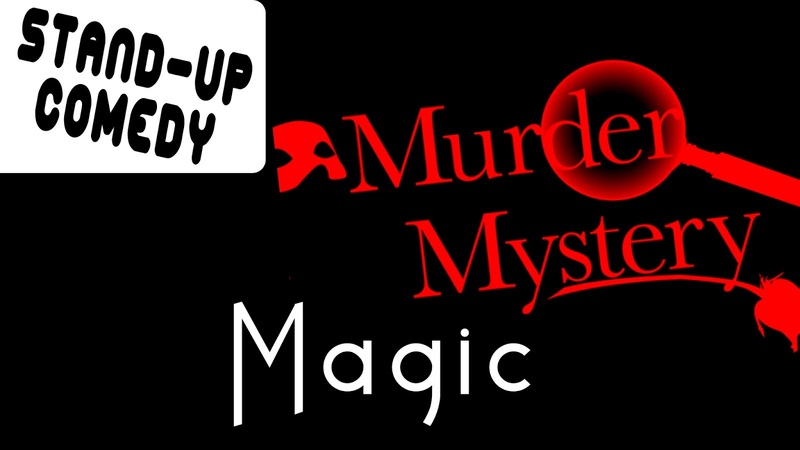 Sleuths Mystery Dinner Shows located in Orlando, FL is the place! One of my passions in my free time is to go see shows, especially if they are shows about magic or comedy. One of my friends at the gym recommended this place and I tried it. Sleuths Mystery Dinner Shows offers a fun mix of comedy, magic, and delicious food and drinks that makes it an all-inclusive experience. And, the location hosts several different shows, including Nick’s Parlor Tricks, Mama’s Comedy Show, and more. Sleuths Mystery Dinners are more than just your average dinner and a show – experience the conundrums of the puzzling storyline where you become a guest in an outrageous comedy mystery, all while enjoying a dinner with family and friends. This show is nearly 2.5 hours of fun and wild performances, and you’ll feel like you’re a character in the storyline who is able to discover the mystery ending and solve the crime along with the characters! The mystery dinner ticket prices are all inclusive, meaning your dinner and unlimited beer, wine, and soft drinks are all included in the price of the show. They have a variety of shows, some for the whole family and others just for the adults. For those family friendly shows kids and parents can enjoy a delicious meal and a fun show. And don't forget it! If you are planning on bringing the whole family, ask about the specials on discounted pricing for kids! The Dinner show place has different shows on the same day and different days. A few of the most well-known shows are: The Magic of Nik’s Parlor, Mama’s Comedy Show, Stand-up Comedy and the Great Mystery Show, which varies time to time depending on the theme. Happy to see more and more great magicians performing in the Orlando area! Nick’s Parlor Tricks is a magic show for all the ages. The magician, Nick Comis, is an experienced showman with a knack for illusions and mind reading, which he’ll demonstrate in these intimate, 45-minute evening shows. This amazing experience is fun for the whole family, and you won’t believe your eyes as Nick performs disappearing tricks, reads the minds of audience members, and performs impossible physical feats. It’s a show you don’t want to miss if you’re in the Orlando area. Laugh – be amazed and laugh again! Often compared to “Whose Line is it Anyway,” Mama’s Comedy Show is a late night comedic masterpiece that will have you doubling over with hysterics within the first few minutes the comedians step up to the mic. The 90-minute shows feature Orlando’s most hilarious performers who encourage audience participation in the completely improvised comedy. Be aware that this show is not appropriate for the whole family - adults only for this one (you never know what the performers will let slip!). Mama’s Comedy Show is the perfect solution for a night out with friends, or date night with your partner. Tickets are only $10, and available at a discounted rate if you have the Sleuth’s admission package. You can also purchase late-night appetizers and drinks at the full bar as you sit back, relax, and enjoy the jokes. If you can’t get enough of the uproarious shows, join the Saturday nights for the stand-up comedy specials! Featuring up-and-coming comedians as well as professional showmen, this show is perfect for those seeking late-night comedic entertainment. Tickets are free if you purchase a drink inside, which, let’s be honest – you will! It’s a knee-slapping, bent-over-laughing event that you won’t want to miss, and you might just find yourself returning every weekend to check out your favorites from the week before! Sleuths Mystery Dinner Shows - Orlando, FL.